(CNN) - New Zealand is joining a growing list of countries attempting to get rid of single-use plastic shopping bags. Prime Minister Jacinda Ardern announced the decision on Friday, and said the ban was necessary to "safeguard New Zealand's clean, green reputation." 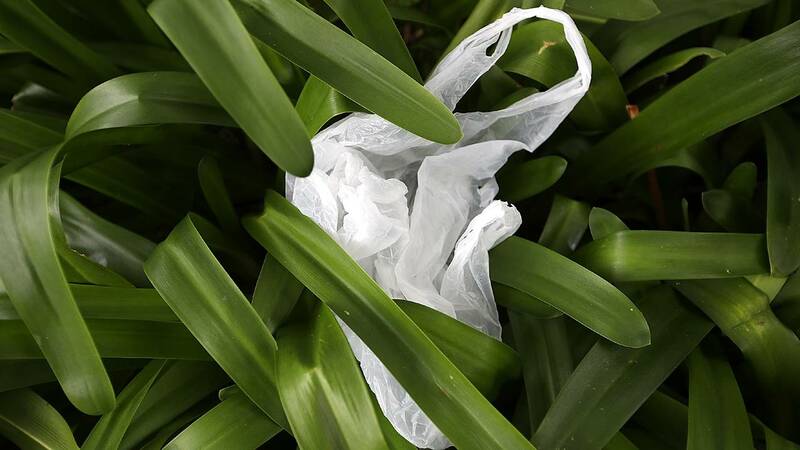 Retailers nationwide seemed to agree, and were quick to voice their support after the announcement, a stark contrast to the recent furor in neighboring Australia over a similar plastic bag ban. There, plans by major retailers to phase out single-use plastic bags caused outrage, and even violence towards a checkout worker whose neck was grabbed by an angry customer, local media reported. Facing public and media pressure, major Australian supermarket chain Coles announced last week it would give plastic bags away indefinitely for free. After this sparked more outrage from those concerned about the environment, Coles backtracked the following day, announcing customers would again have to pay a fee for plastic bags. There haven't been many signs of resistance so far in New Zealand, said associate environment minister Eugenie Sage. Still, they're not taking any risks. The process will begin with a consultation period, during which people can submit concerns and suggestions online. "We're listening to New Zealanders who want us to take action on this problem," Ardern said in her statement. "We need to be far smarter in the way we manage waste and this is a good start." New Zealand is lagging significantly behind some European nations, which began phasing out plastic bags more than 15 years ago. Dozens of other countries and cities have already imposed bans or restrictions on plastic goods, including microbeads, plastic straws, and coffee pods. New Zealand officials are confident their citizens are ready for the change. In her statement, Ardern pointed to a Greenpeace petition calling for an outright plastic bag ban, which was signed by 65,000 New Zealanders and presented to parliament this February. "It's also the biggest single subject school children write to me about," she added. "Just like climate change, we're taking meaningful steps to reduce plastics pollution so we don't pass this problem to future generations." Sage said the plastic bag ban is "something New Zealanders really want." "We have seen communities and councils calling for action," Sage told CNN. "Kiwis care, and I think New Zealanders want to keep our beaches, keep our oceans clean of plastic pollution." One possible reason Australians resisted the ban was that the government didn't take enough action to implement it across the entire retail sector, as New Zealand aims to do, Sage added. A study released earlier this year found a 30% drop in plastic bags on the seabed in northern Europe, which scientists tied to the widespread introduction of plastic ban charges and restrictions. Some retailers are already one step ahead. In early June, 12 local and international companies signed a joint declaration committing to using 100% reusable, recyclable, or compostable packaging in their New Zealand operations by 2025. Notable signatories include L'Oréal, the Coca-Cola Company, and Nestlé. "We are absolutely thrilled the Government has begun consultation on a mandatory phase out on single-use plastic carrier bags in New Zealand," Kiri Hannifin, the general manager of major supermarket chain Countdown, said in a statement Friday. The Warehouse Group, one of the largest retail groups in New Zealand, also released a statement applauding an "historic occasion for New Zealand's environment." New Zealand has long prided itself on its environmentalism. In April, Ardern introduced a new cap on offshore drilling for oil and gas in an effort to combat climate change and move toward a "carbon neutral economy." A Zero Carbon Bill, which would introduce a 2050 target to reduce carbon emissions, is also being drafted.